Help our team help a family in need by buying a bouquet on Saturday, June 9th for $20 from Ukranian Co-op or Wascana Flower Shoppe. Let's spread some kindness Regina! Two of our team members at Wascana Flower Shoppe, Mariya Petrakivska and Tetiana Lisnyak, are Ukranian-Canadians who want to help a family in need - and we want to support them and help these ladies raise as much money as we can for that family. Two weeks after Diana Ovsiienko and her husband immigrated to Canada from Ukraine, with dreams of a new life, she was in a car accident outside of Regina that has left her comatose. Her parents left everything behind and came to Canada to be by her side each and every day for the last two months and counting. 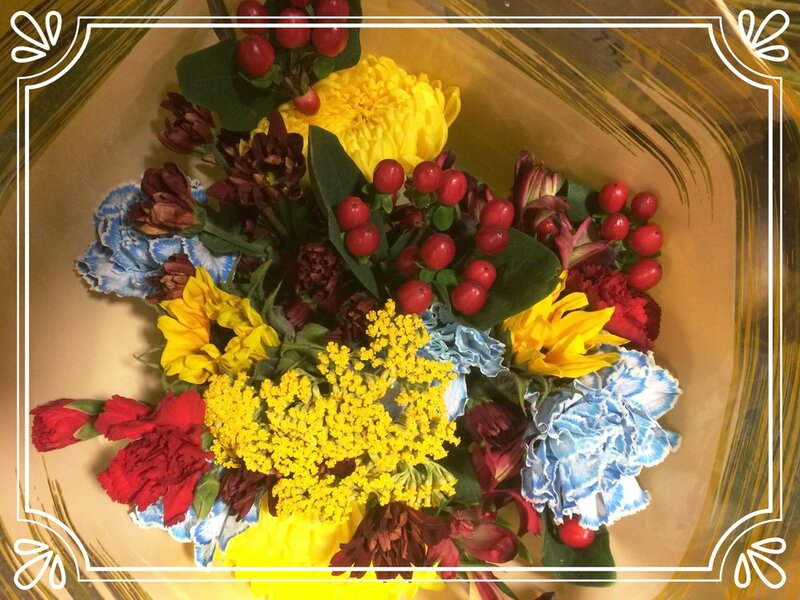 On Saturday, June 9th between 10 am - 2 pm you can buy a Ukranian inspired flower bouquet for $20 from the Ukranian Co-op (located at 1805 Winnipeg St.) and at Wascana Flower Shoppe (located at 333 Victoria Ave. E.) 100% of the proceeds will go directly to Diana's parents; Natalia and Mykolai Padalka. Help us help Mariya and Tetiana help this family!